The Central Board of Secondary Education (CBSE) conducts an entrance test for the 15% merit seats in the Medical/ Dental Colleges of India. The All India Pre-Medical/ Pre-Dental Entrance Test (AIPMT) receives lakhs of applications every year owing to its popularity. The merit list of this entrance test is also used by state governments/ universities/ institutions for admission in the medical/ dental colleges against seats under their control. The present book containing collection of previous years’ chapterwise questions asked in CBSE AIPMT has been divided into two parts covering Class XI and Class XII syllabi spread across 34 chapters namely The Living World, Biological Classification, Plant Kingdom, Animal Kingdom, Morphology of Flowering Plants, Anatomy of Flowering Plants, Structural Organisation in Animals, Cell: The Unit of Life, Biomolecules, Cell Cycle and Cell Division, Transport in Plants, Mineral Nutrition, Photosynthesis, Respiration in Plants, Plant Growth and Development, Digestion and Absorption, Breathing and Exchange of Gases, Body Fluids and Circulation, Excretory Products and Their Elimination, Locomotion and Movement, Neural Control and Coordination, Chemical Coordination and Integration, Sexual Reproduction in Flowering Plants, Reproduction in Organisms, Principles of Inheritance and Variation, Molecular Basis of Inheritance, Evolution, Human Health and Diseases, Microbes in Human Welfare, Biotechnology and its Applications, Organisms and Environment, Ecosystem, Biodiversity and the Conservation and Environmental Issues. 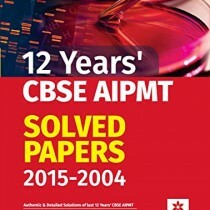 The book contains last 28 years’ (1988-2015) Chapterwise solutions of Biology questions asked in CBSE AIPMT (All India Pre Medical Test). 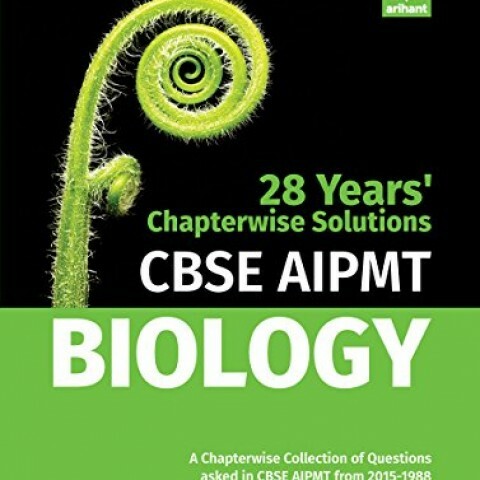 The book covers all the topics that are a part of CBSE AIPMT Biology syllabus. All the previous years’ objective questions have been covered chapterwise along with their answers and solutions. Authentic, analytical and augmented solutions have been provided for all the questions. Hints and solutions have been given at the end of each chapter. 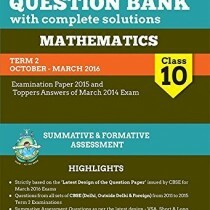 Questions asked in AIPMT 2015 have been given at the end of the book to give the candidates an insight into the current exam pattern of CBSE AIPMT. 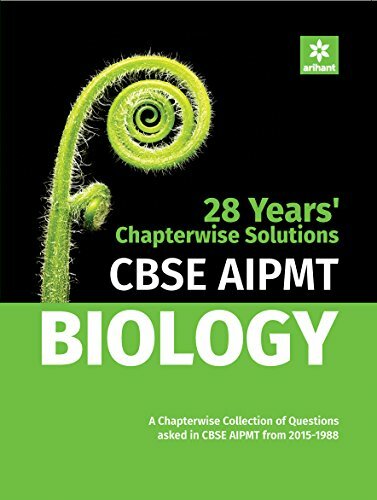 As the book contains a large number of previous years’ questions along with their solutions, it will prove to be an ultimate Practice Resource for 2016 CBSE AIPMT Biology.